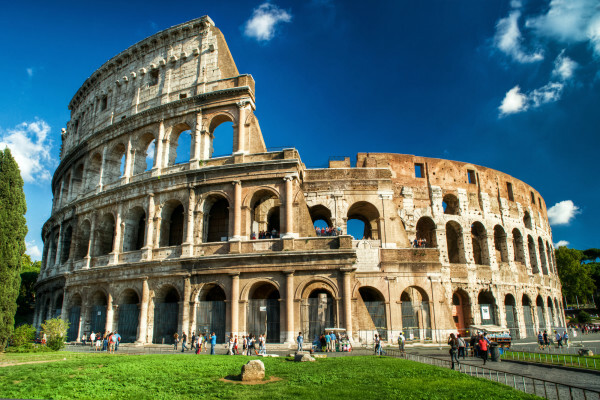 Rome is the capital of Italy, and with a rich history that spans more than 2,500 years, it has the distinction of being one of the oldest continually inhabited cities in Europe. It has been declared both a global city and a UNESCO World Heritage site. The list of tourist attractions in Rome is almost too numerous to mention. Vatican City, the Coliseum, museums, parks and plazas are spread across the city. You will want to map out a good route in advance to be sure you don’t miss anything. Pilgrims can visit Pilate’s stairs, reportedly the stairs leading up to Pilate’s praetorium in Jerusalem, upon which Christ stood during His passion. They were reportedly brought to the city by St. Helena in the 4th century A.D.
For a dining experience that is not to be missed, visitors are encouraged to find the Hostaria La Fraschetta, where the food is described as “tantalizing for the taste buds” and the hospitality is warm and friendly, delivered by a traditional Roman couple who are passionate about their city.